Can't find your QUALITY COMPONENTS & SYSTEMS P partnumber in the list below? Contact us for a Free Quote. Contact us and we can use our network of suppliers to help find you the right QUALITY COMPONENTS & SYSTEMS P product or a compatible alternative. 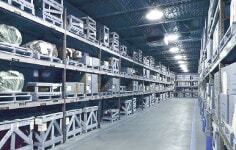 We have 1 listed partcodes by QUALITY COMPONENTS & SYSTEMS P.